This year has been incredible. It's had some serious ups, and some rather serious downs, but we've gotten through it, and while there are some rather stark obstacles ahead, Seeg and I are ready to face them, fully armoured with the sharpest swords. But we'll start with the ups. In May, Seeg and I, having been together for eight years to the day, got married. It was a small occasion, his closest and mine, without any grand reception or big white dresses. We paid for the whole thing ourselves, and while we're still saving for our honeymoon (slash-one-year-wedding-anniversary), we're covering the majority of that, too. My dad felt guilty for the matter, but I declined every offer he made to pay for this or that, and I'm very, very proud of that fact. I made the cake, and it was the best cake I've ever made, and Seeg loved it, which was the goal. 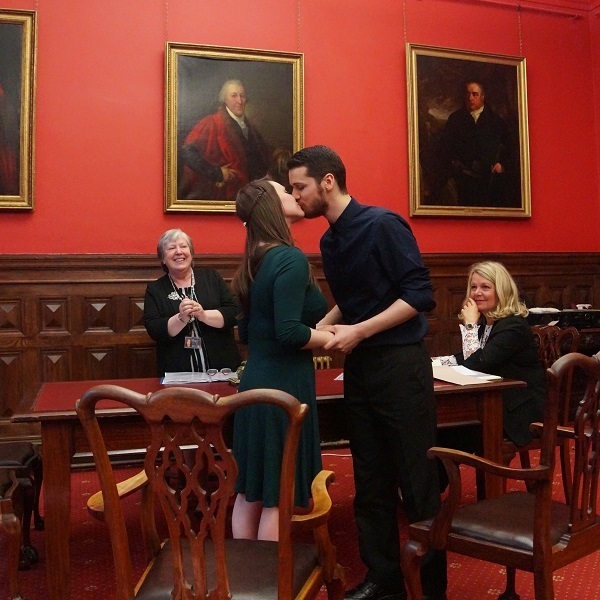 I made most of it, actually, and it all went shockingly well but for the sole exception of the ceremony. We were late to our own wedding. Only by about 10 minutes, but an accident had happened on the motorway minutes before we hit the junction to join it. We ended up in rapidly diverted traffic and arrived, at last, with everyone waiting for us. They had all left after us, and so we had warned them of the traffic. It was a bit unbelievable, but the staff at the house were amazing and really put me at ease. And my dearest friend and maid of honour felt terrible because she was driving us. I take a moment to say right now: Lucy, it was not your fault. If anything, it made the day that much more memorable, and I do remember every detail so very clearly. 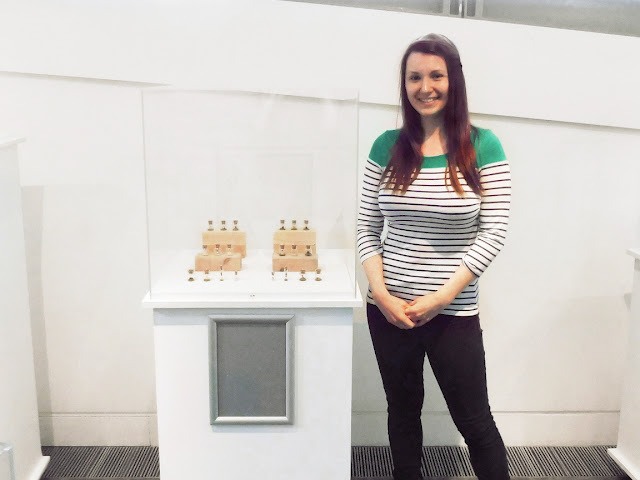 In June, I held my second gallery exhibit. It didn't do as well as the first, but it didn't do badly, either, and resulted in people phoning the gallery to get my name and track me down for custom pieces. Amazing. I was loved and remembered. 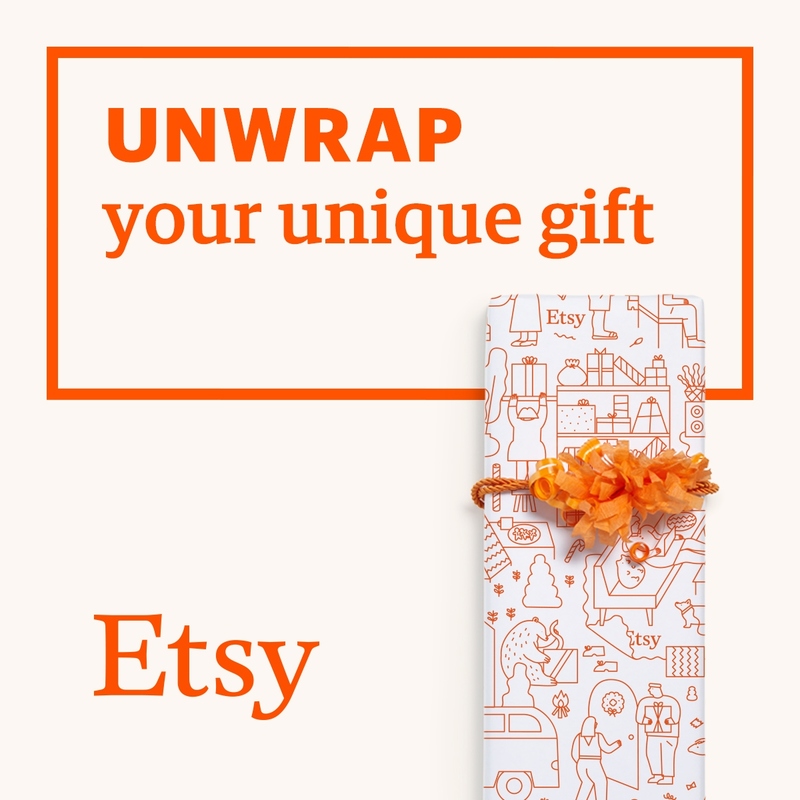 It also meant that I could put some money away for the afore-mentioned honeymoon/anniversary and had lots of ready-to-ship stock and brand new pieces for Etsy over Christmas. In July I listed my newest book for publishing, and it was released August 1st. 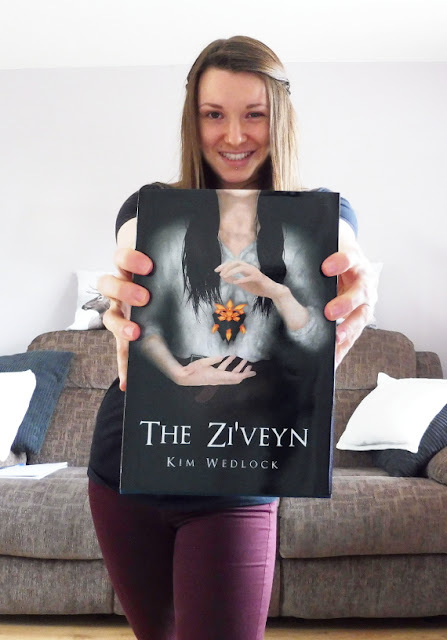 In four months, The Zi'veyn sold more copies than Archguardians did in two years! And even now I am still proud of it - I had a lot of doubt after releasing The Archguardians Of Laceria, but I have (mostly) nothing but pride (about 70%) for The Zi'veyn. 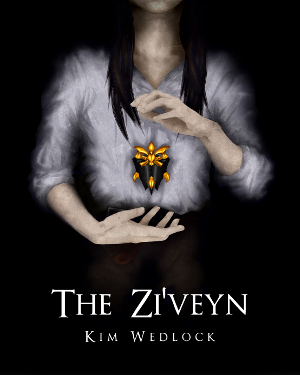 I got a great response for it and feel I've grabbed more attention than the first, and I know as a fact that a lot of people who bought and read Archguardians came back for The Zi'veyn. That's promising. In October, Seeg began training in falconry. This is something I've been reluctant to talk about because I believe massively in jinxing, and to be honest I'm still not entirely comfortable with talking about it, but it's a passion he found after I took him on an experience day as a wedding gift, and it hasn't diminished. He finished the initial training last month - but that doesn't necessarily mean anything. There are still many, many things up in the air, but it's certainly something worth being immensely proud of. But then, after all that good, came the bad. November was a bad month. My uncle died in an RTA, killed instantly on his way to work. It was terrible, and such a shock. It took a few weeks to sink in, but I opted not to go to the cremation. My dad and my sister knew him better than I did, so I stayed home to look after mum so that he could go. Even so, I paid my respects as best I could. Then, a week or so after that had happened, my mum, who had been waiting for a simple operation to remove bladder stones for months and had been rescheduled twice, was admitted to hospital due to a severe bladder infection and pneumonia, both of which had been chalked up to the state she was in pending the operation. She ended up in hospital for almost a week when all she'd needed in the first place was an operation which, when it finally happened at the end of that month rather than the beginning, had her in hospital for the entirety of 6 hours. We were not impressed whatsoever. I do not blame the NHS, however - queues and red tape aside, we are immensely lucky to know that we can be treated for free whenever anything happens to us. Some take advantage of that fact, but it means that we don't have to think twice about calling an ambulance for a stranger, we don't have to just accept we have cancer or disease and wait for it to kill us. It can be a nuisance, but it is a positive thing. I just wish the NHS would get more money, and that people would take it upon themselves to look after their own bodies better. The NHS themselves have confirmed on a number of occcasions that the majority of injuries and illnesses they're dealing with are the direct result of obesity and laziness. Eating right and exercise doesn't mean jogging for five hours every single day and only eating lettuce, and neither does it mean that you can't have any sugar or whatever other foods you love ever again. But people are afraid of it; despite how easy it has been made, despite all the information out there, people choose to just ignore it and go on as they are because it's 'easier'. And then everyone suffers. The upside, however, which does conclude the year, is that the terrible state she was in for three months - unable to chew her food, sleeping all the time, never smiling even for a moment, slipping down in her chair, making squeaking noises in pain and jolting here and there - vanished. It was amazing, and each of us felt such elation at seeing her so cheerful and alive!! It really made Christmas. But it was also heartbreaking to think how much pain she must have been in and, thanks to her MS, was entirely unable to communicate. 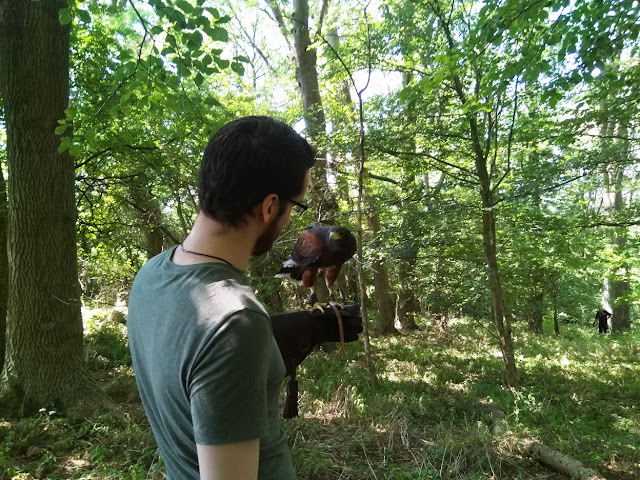 In short, this year has had its massive ups and massive downs, and 2018 will probably be the most memorable year of all - until I manage to catch the winds with one of my books, or Seeg becomes a professional falconer. How was your year? Anything noteworthy in your eyes? Nothing as big as a book publishing - perhaps dropping a dress size, gaining a promotion, or perhaps developing a personally valuable new insight?